Kew is the ideal base for visiting London. You are only 30 minutes away (District line tube) from central London and it’s many attractions, and you can also explore the quieter delights of Kew and bustling Richmond. 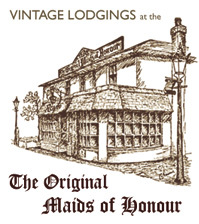 Within 10 minutes walk of Vintage Lodgings you will find over 20 places to eat and drink – ranging from cafes that transform to elegant Thai restaurants in the evening to Michelin starred restaurants or pubs overlooking the River Thames. Just ask us when you arrive and we’ll be able to direct you to somewhere suitable. Opposite Vintage Lodgings is the world famous Kew Gardens where you relax and explore over 300 acres of land and magnificent glasshouses containing over 40,000 species of plants and trees. If you’d like to take a picnic, just ask at the Maids of Honour. Approximately 10 minute walk away are The National Archives (formally the Public Record Office) which you can visit to examine over 900 years of historical records. It’s got a museum containing items such as the Domesday book. Again about 10 minutes walk away and a personal favourite is Kew Bridge Steam Museum, housing some of the largest working steam engines in the world. It’s also got London’s only working steam train. If you’d like to go shopping the individual shops of Kew Village are close by with about 30 different shops, cafes, restaurants and bars. If you are visiting on the first Sunday of a month, be sure to visit Kew Village Market, one of London’s friendliest street markets. Richmond with it’s larger selection of shops, restaurants and riverside pubs is a short bus or tube ride away (or a very nice walk along the river). Richmond is also the home of Richmond Park, London’s largest green space, with bikes for hire, numerous walks and over 650 deer to try and count.